It will only take a "split" second to decide on this fantastic marketing tool. 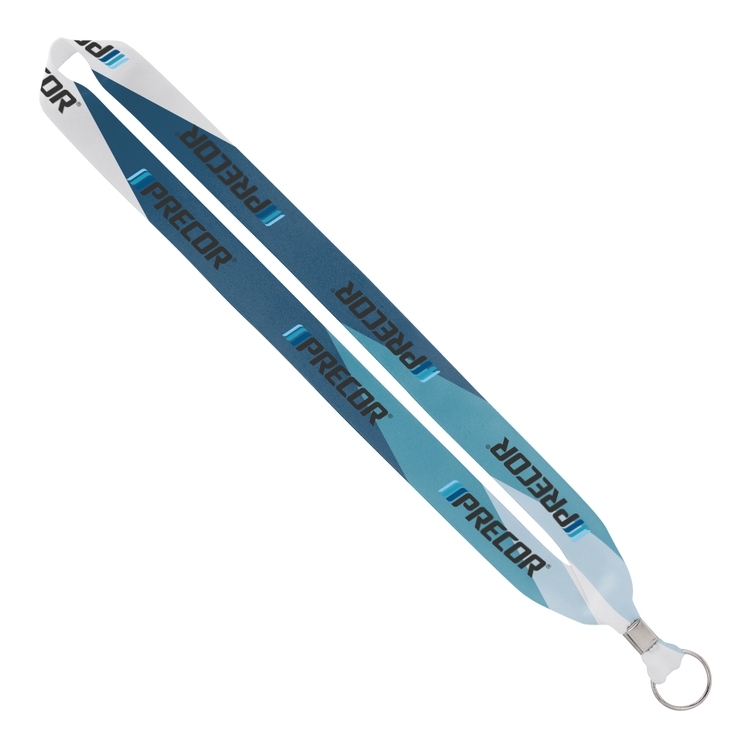 This 3/4" dye sublimated lanyard with metal crimp and metal split ring makes an excellent addition to promotional events. Tradeshows, conferences and seminars are all terrific choices. Add your company's logo for a great opportunity to promote your business. Additionally, this lanyard is a fine choice to enhance employee attire. Make sure to order yours today. Here's a cool "bend" to throw into your company's marketing campaign. 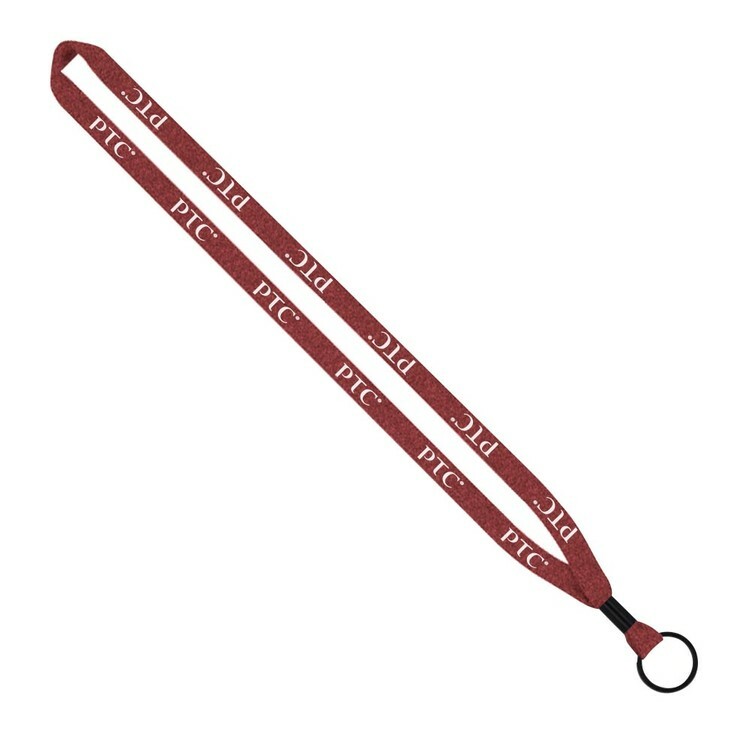 Choose this 3/4" economy polyester lanyard with metal crimp and metal split ring as a handy giveaway during promotional events. Tradeshows, conferences and fundraisers are all terrific choices to hand out this item. Use the silkscreen imprint method to add your company's logo to this product for an excellent opportunity to promote your business. Order today. 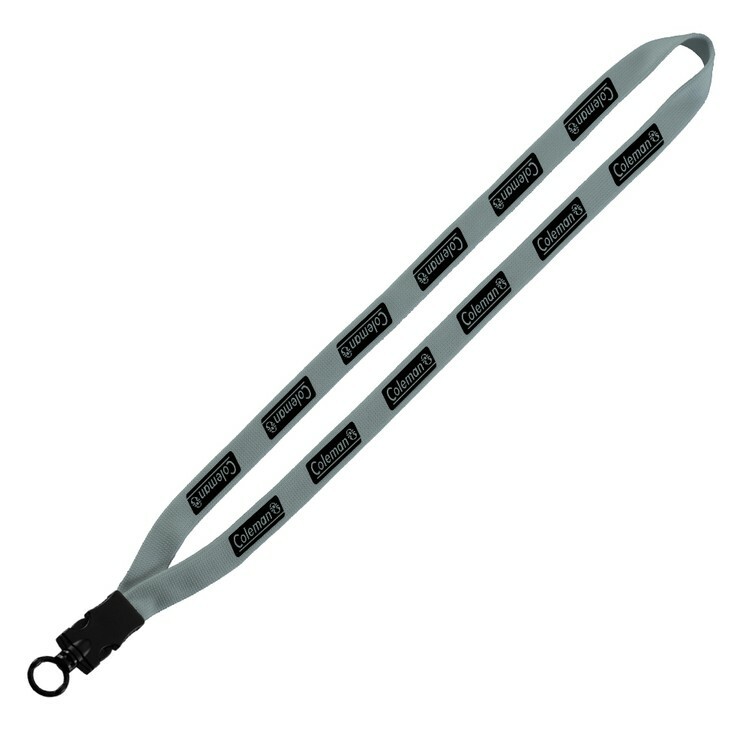 1/2" Marled Dual Use Trade Show Lanyard. 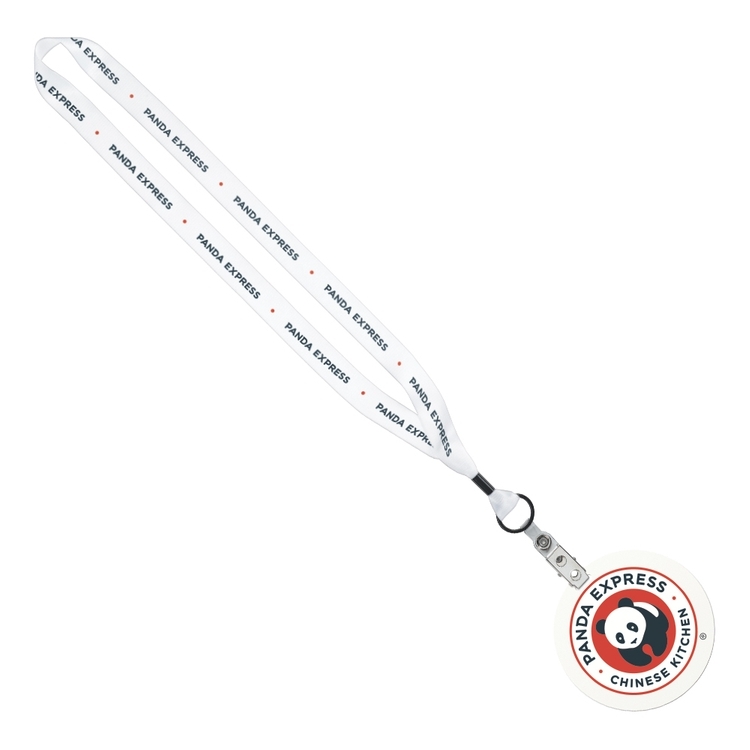 Our Dual-Use Trade Show Lanyards work twice, for badges then eye-wear...First, use at your event for your name badge, then use as an eyeglass retainer for use at home, work, or play by removing the name badge connector from the lanyard straps. 3 stylish colors available: Marled Red, Marled Royal, Marled Gray. SnugZ USA is a QCA accredited company. Here's an item to "ring" in a successful campaign! 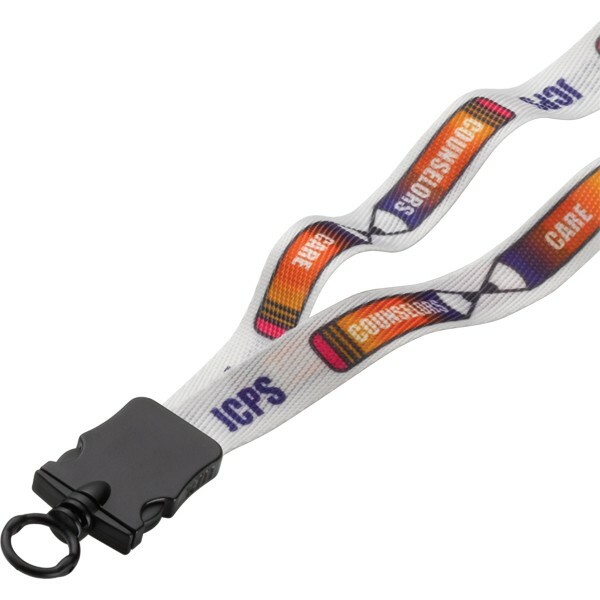 Select this 1/2" imported double ended polyester dye-sublimated lanyard with black non-swivel bulldog clips & release. Custom widths, lengths and attachments are available. Note: Timeline is based on no custom delays or scheduled holidays. Air freight approximately 11-15 days, ocean freight approximately 45-50 days. Contact sales department for custom quote. Introducing the SnugZ USA Rush Import Service. Get large orders in as little as 8 days (after final proof approval)! We have solutions for even the most demanding timeline or budget. Start customizing with 4 different attachment options that are all included in the price and several colors. Add a convenience release or slide release buckle for a small cost. 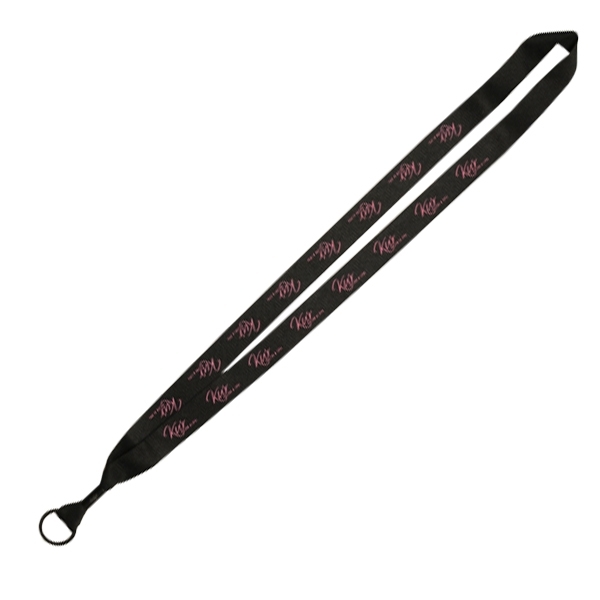 Order your rush import 1" polyester lanyard with sewn metal split ring today! 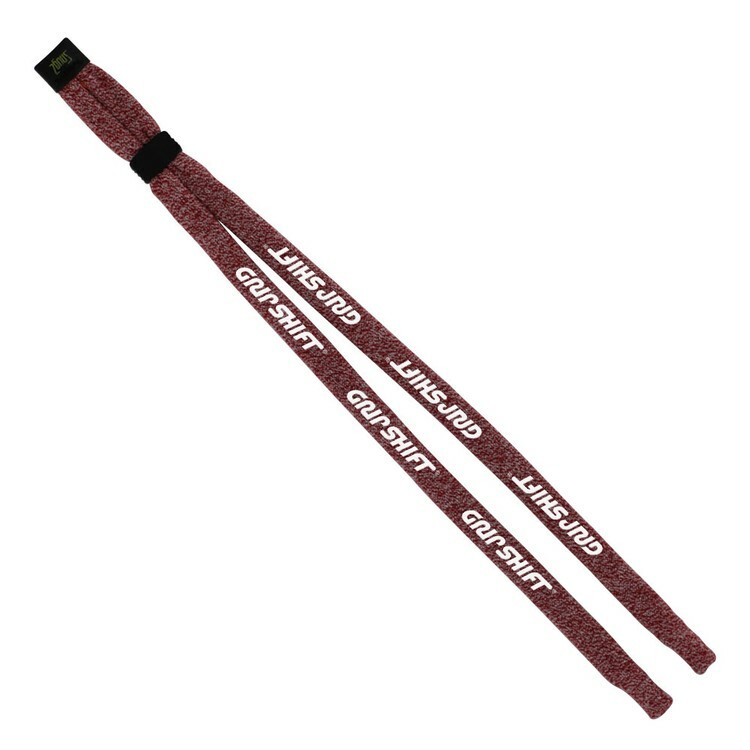 3/4" Dye Sublimated Waffle Weave Lanyard with Plastic Snap Buckle Release & O-Ring. SnugZ USA is a QCA accredited company. Introducing the SnugZ USA Rush Import Service. Get large orders in as little as 8 days (after final proof approval)! We have solutions for even the most demanding timeline or budget. Start customizing with 4 different attachment options that are all included in the price. Add a convenience release or slide release buckle for a small cost. 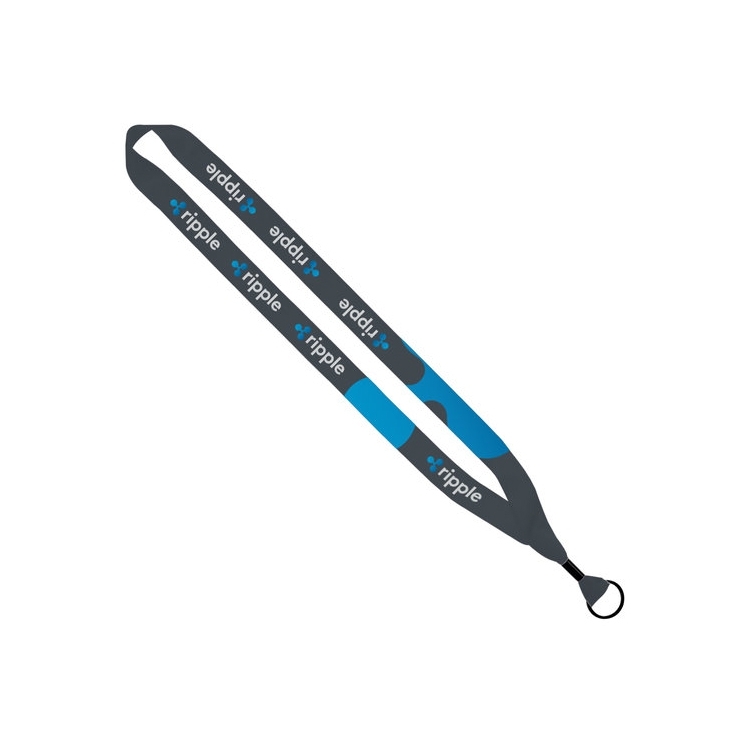 Order your rush import 1" dye-sublimated lanyard with metal crimp and split ring today! 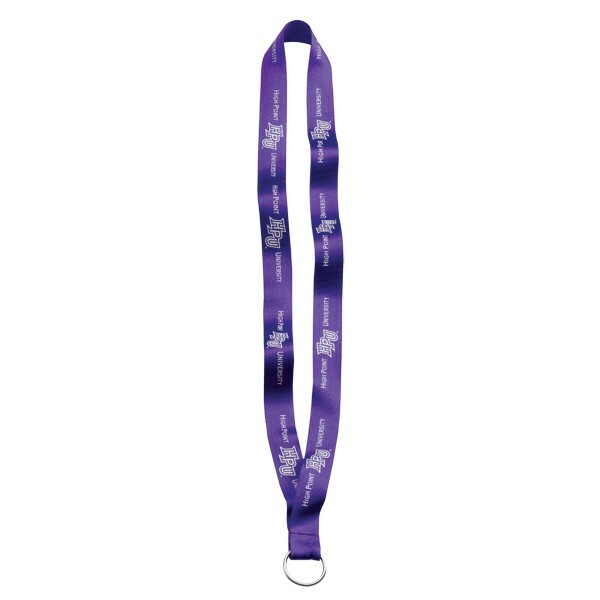 1 1/2" Dye-Sublimated Satin Ribbon Lanyard with 3" x 4" ID Badge. SnugZ USA is a QCA accredited company. 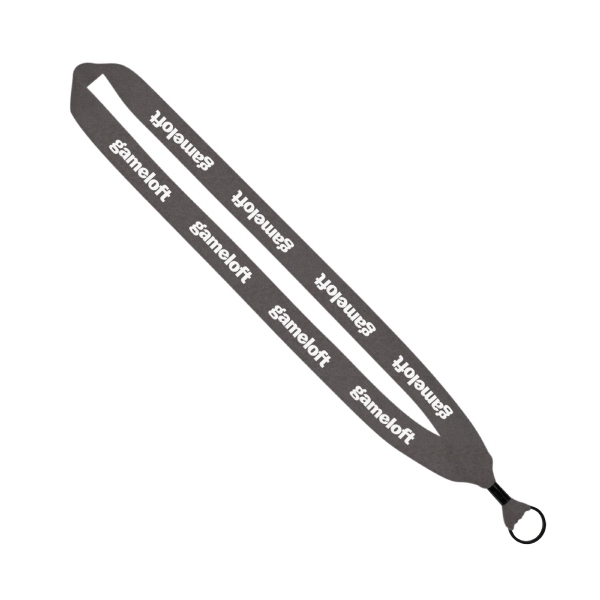 Lanyard and badge ship separately and unassembled unless requested and will incur additional charges. 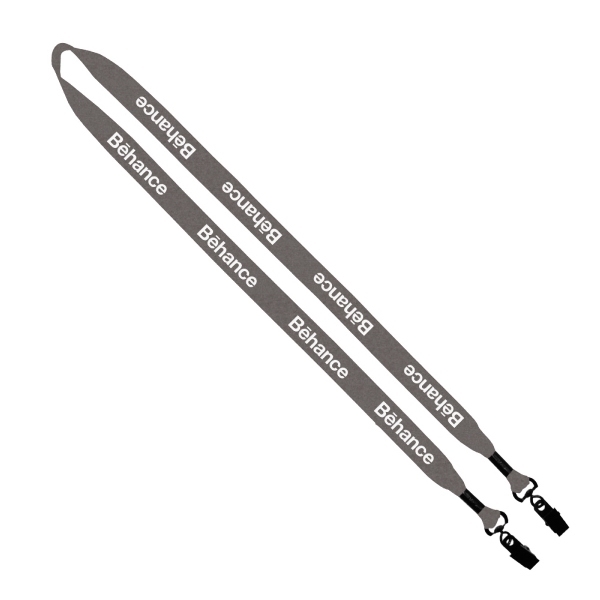 Economy Polyester Lanyard w/ Metal Crimp - 3/4" x 36"
Polyester Lanyard with Metal Crimp. End to end and back side imprint not available. Add 2 business days to production if paper proof is requested. Add 3 days if convenience release is requested. 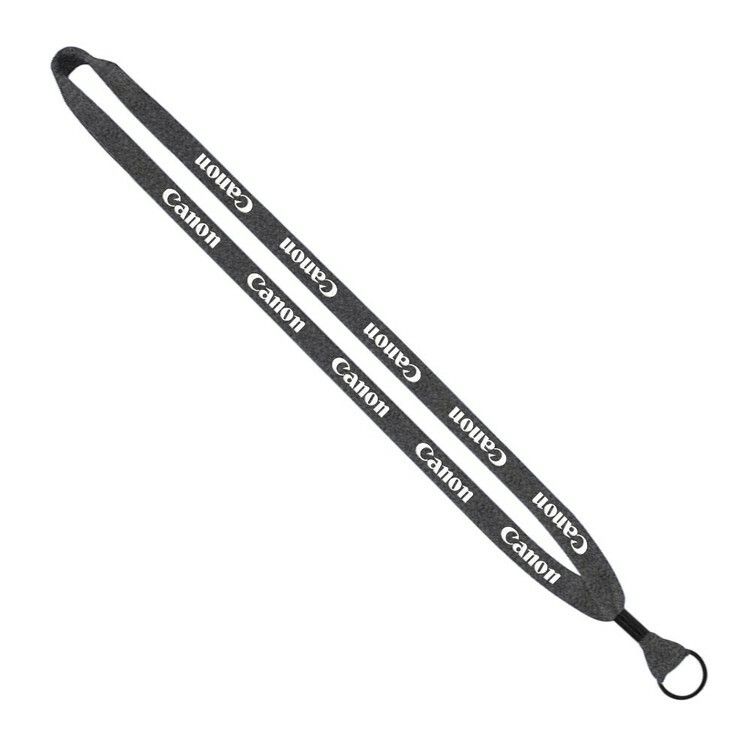 5/8" Polyester Lanyard with Plastic Snap Buckle Release & O-Ring. SnugZ USA is a QCA accredited company. 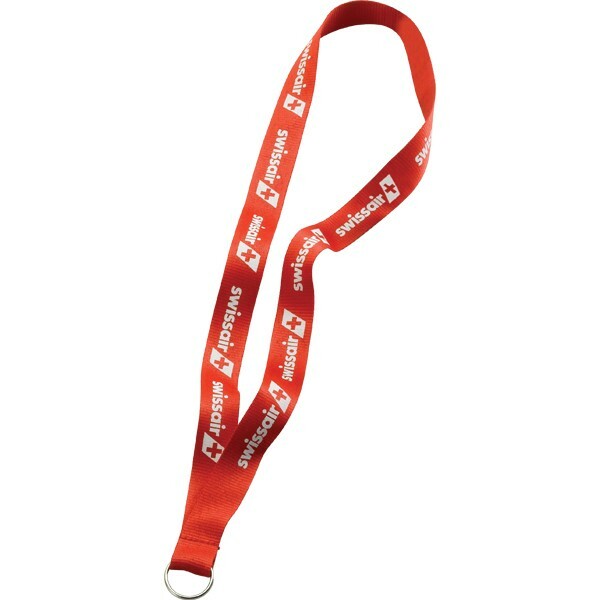 Polyester Lanyard with Metal Split Ring. Imported. 1/2", 3/4", and 1" widths available. SnugZ USA is a QCA accredited company. 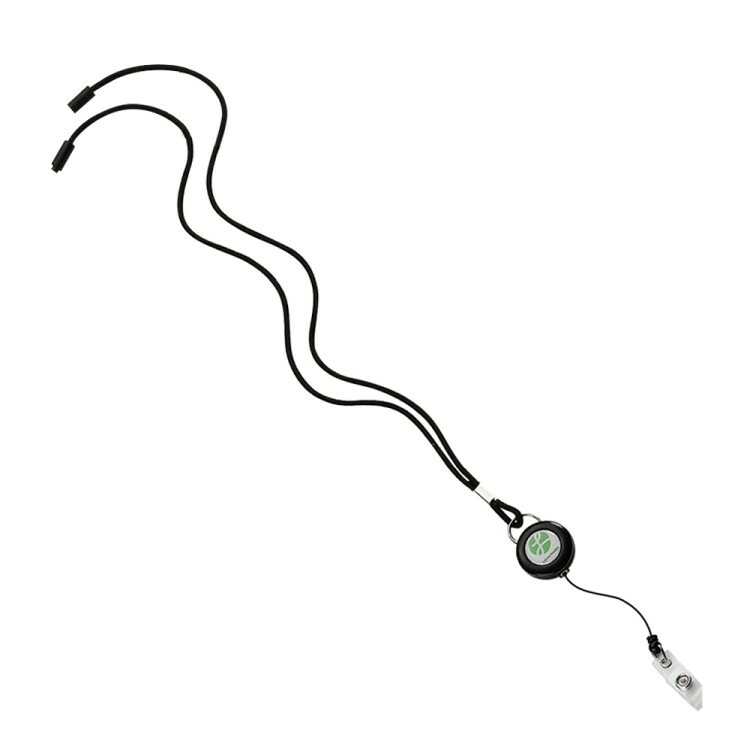 3/16" Nylon Power Cord Lanyard with Round Slider - While Supplies Last! 3/16" nylon power cord with round locking slider, convenience release, plastic snap buckle release and o-ring. SnugZ USA is a QCA accredited company. Introducing the SnugZ USA Rush Import Service. Get large orders in as little as 8 days (after final proof approval)! We have solutions for even the most demanding timeline or budget. Start customizing with 4 different attachment options that are all included in the price and several colors. Add a convenience release or slide release buckle for a small cost. 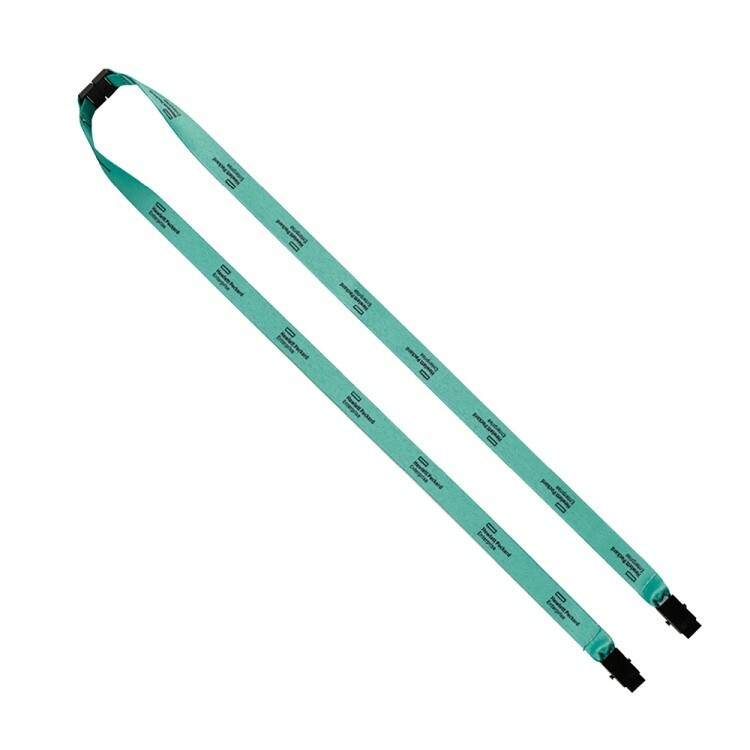 Order your rush import 5/8" polyester lanyard with metal crimp and split ring today! 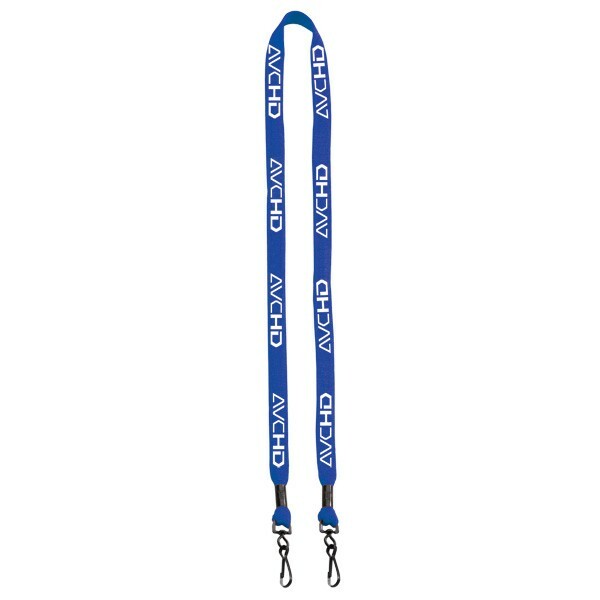 1" Dye Sublimated Lanyard with Plastic Clamshell & O-Ring. SnugZ USA is a QCA accredited company. 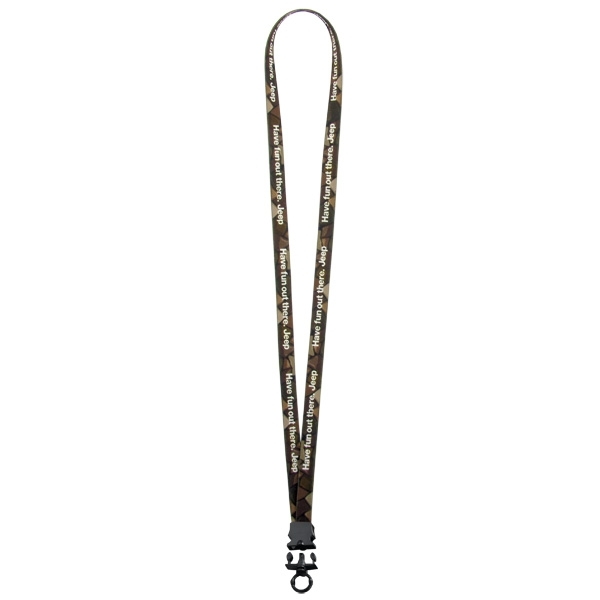 Marled Double Bulldog Clip Lanyard. 16" per side. 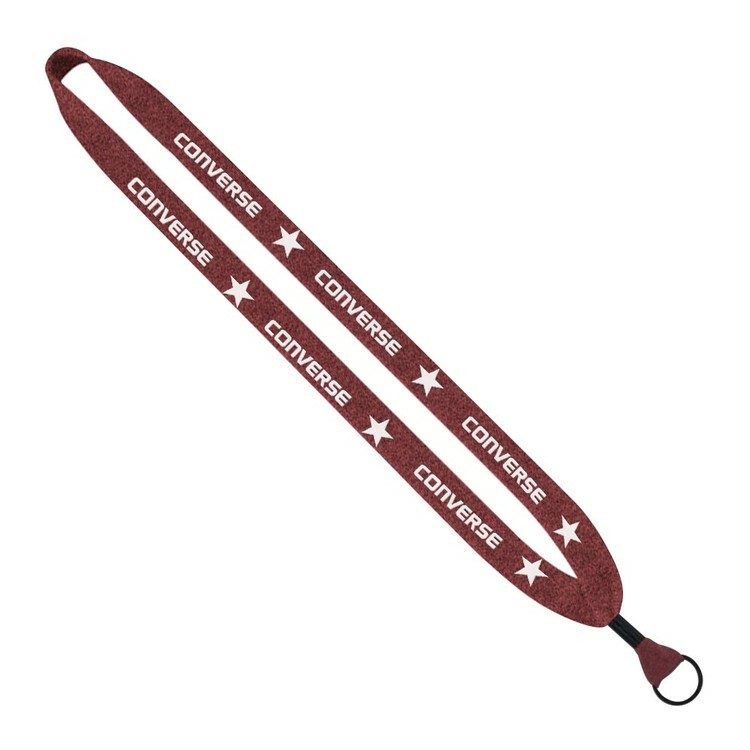 Sewn Dye Sublimated Lanyard and Metal Split Ring. Artwork will be reprinted on back side unless 'one side only' is requested. 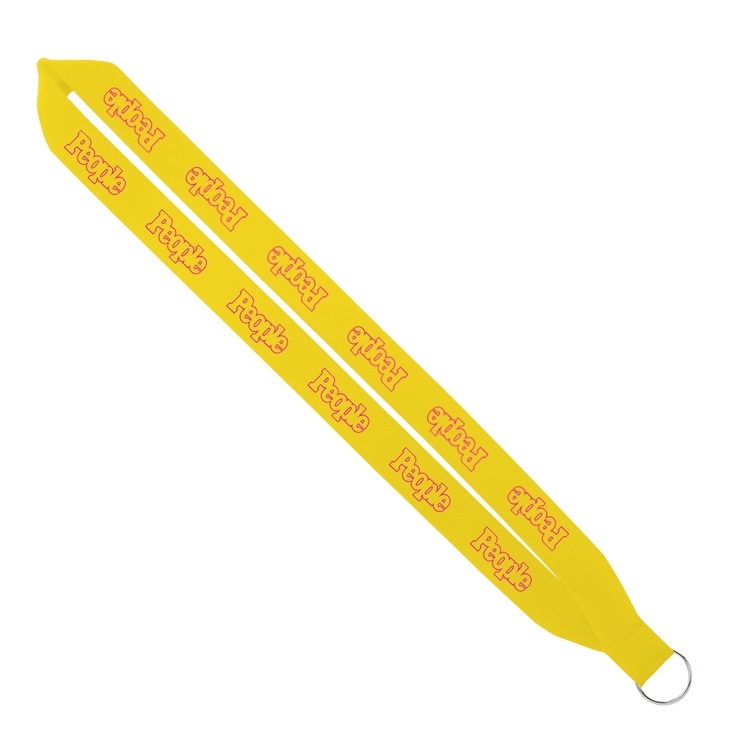 Backside imprint will not line up with the front side, meaning the back side of each lanyard will be unique. Pre production sample at no charge, must request on purchase order. Shipping not included. Add 5 business days to production if pre production sample is requested. 16" per side. Zip It next day service available. 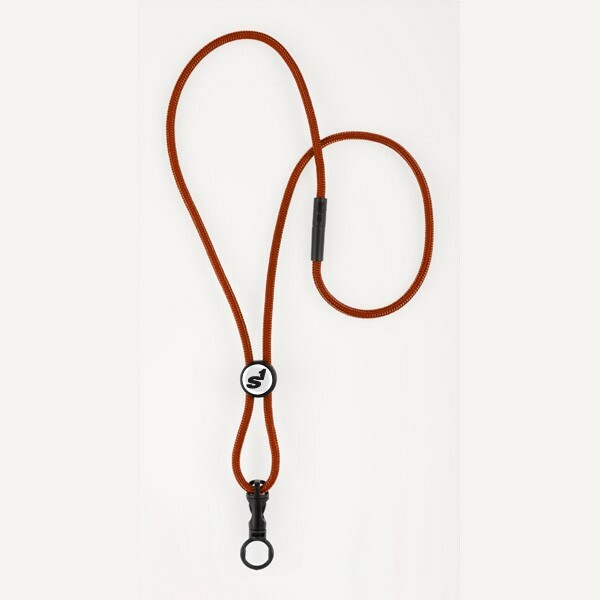 1/2" Cotton Double Swivel Hook Lanyard. SnugZ USA is a QCA accredited company. 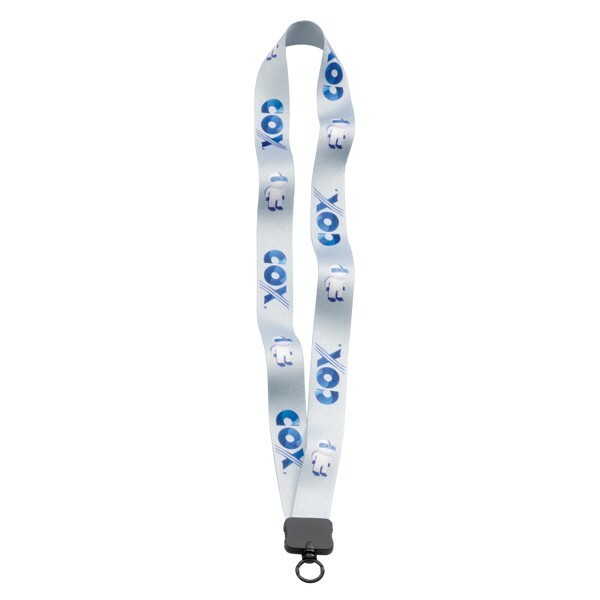 3/4" Sublimated Lanyard with 4" Round ID Badge. SnugZUSA is a QCA accredited company. 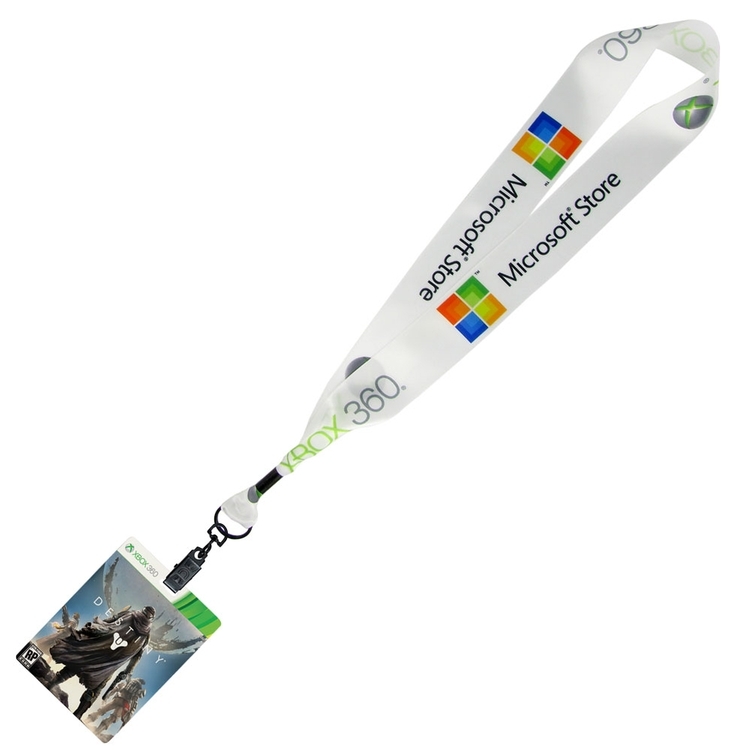 Lanyard and badge ship separately and unassembled unless requested and will incur additional charges. 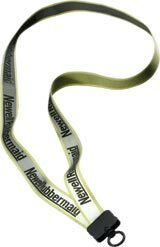 3/4" Polyester Lanyard with Silver Tone Metal Split Ring. Add 2 days if paper proof is requested. End to end and backside imprint not available. 16" per side. Zip It next day service available. - 4 Way Stretch Fabric provides an unrestricted full range of motion. 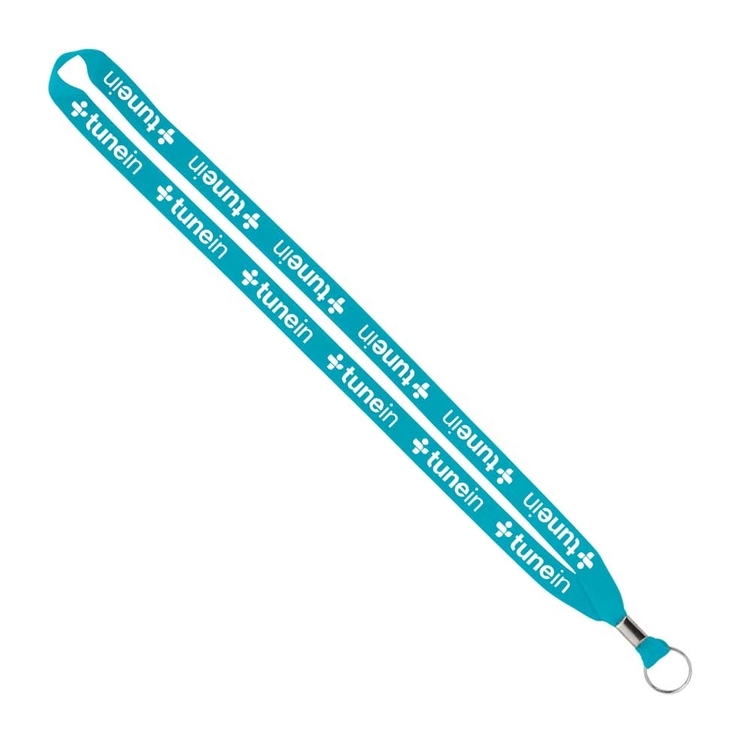 3/4" Reflective Lanyard with Plastic Clamshell & O-Ring. SnugZ USA is a QCA accredited company. Marled Lanyard With Metal Crimp And Metal Split Ring. 16" per side. Zip It next day service available. 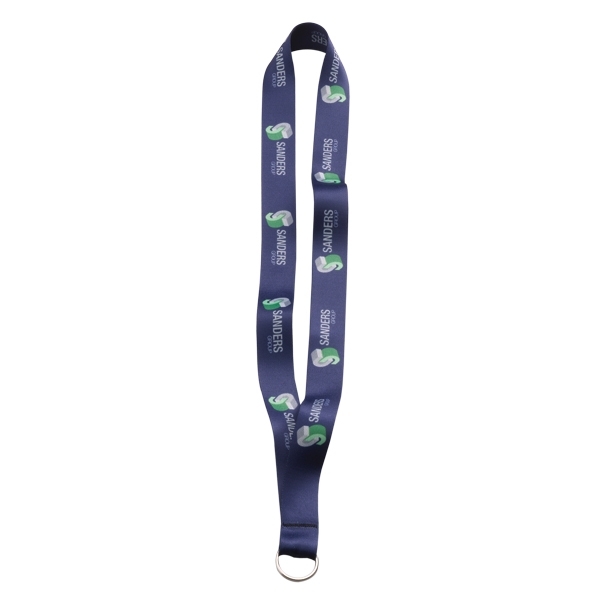 Dye Sublimated Stretchy Elastic Lanyard with Plastic Snap Buckle Release & O-Ring (standard option). Artwork will be reprinted on back side unless 'one side only' is requested. Backside imprint will not line up with the front side, meaning the back side of each lanyard will be unique. Pre production sample at no charge, must request on purchase order. Shipping not included. Add 5 business days to production if pre production sample is requested. 16" per side. 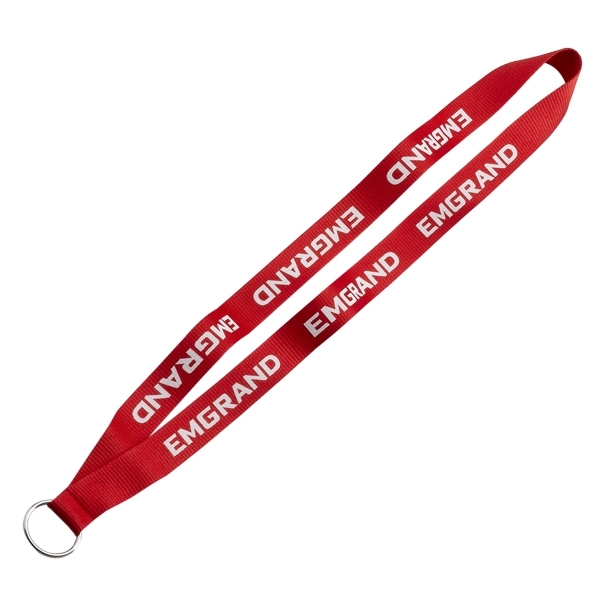 Imported 1/8" Polyester Cord Lanyard with Silver Crimp, Split-Ring, Badge Reel and Release. Turn time: Air: 11-15 business days after pre-production proof approval on select styles. 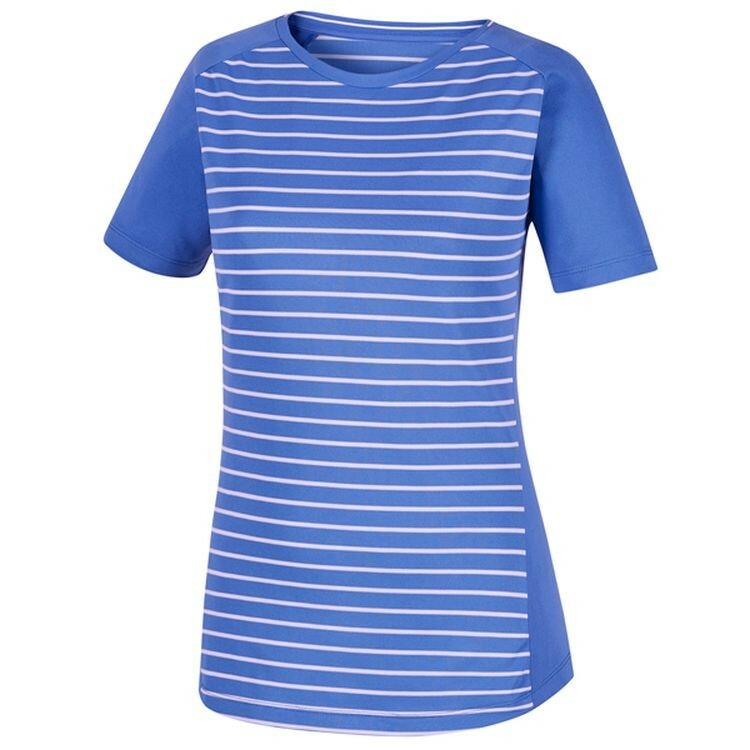 Ocean: 45-50 business days after pre-production proof approval on select styles. Timeline is based on no customs delays or scheduled holidays. 500 piece minimum. Contact your Sales Rep! 16" per side. 3/4" Economy Polyester Lanyard with Plastic O-Ring. SnugZ USA is a QCA accredited company.